Cube built the Reaction Race for one thing and one thing only: to go fast. Best tie your shoes a little tighter when you climb aboard, then, because this bike will take everything that you've got and translate it into rapid forward progress. It has been completely reworked for 2018, with all the best bits of the previous Reaction, and then some! The Stealth dropper cable routing allows you to seamlessley add a dropper post at a later date and it is graced with a thru axle rear end. With a buttery smooth RockShox Judy fork, powerful Shimano Deore hydraulic disc brakes and SRAM's Eagle GX 1x12 transmission, the Reaction Race sets new standards in its class. 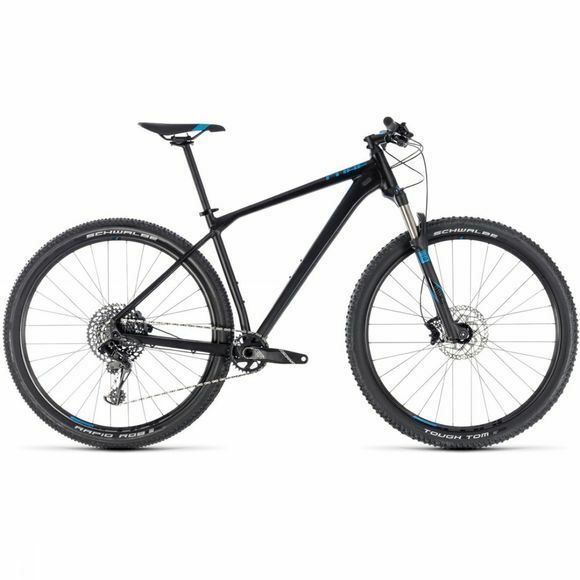 This is a bike that feels as good out on the trail as it does on the race course, and we reckon that's a winning formula.